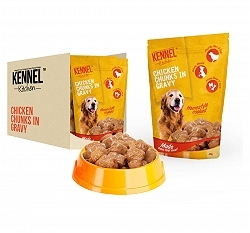 Kennel Kitchen is a premium quality home styled cooked food that is available for large and small breed dogs and pups. 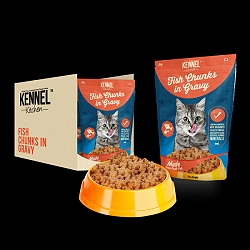 Kennel Kitchen food is highly palatable and is prepared with ingredients that have been specially picked by nutritional experts to provide a balance, nutritional and healthy diet to your pets. 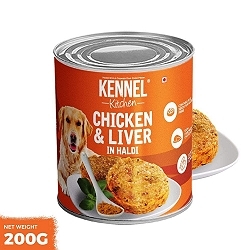 Kennel Kitchen understands that dogs have evolved naturally to consume a high meat or protein diet and have developed the best biological diet for pets with high amounts of meat and vegetable content in balanced proportions. The ingredients used for the preparation of Kennel kitchen dog foods are all natural and sourced from local farms. These diets are highly palatable and prepared without any preservative or additive. Kennel Kitchen also has made the way for regional vegetables such as carrots, peas and sweet potato. While providing a limited amount of carbohydrates, vegetables supply important vitamins, minerals and protector nutrients in a natural and bio - available form than the high-glycemic grains such as corn or wheat.